As a teacher at all levels and mother of five children, Bronwen has been interested in a variety of crafts for both children and adults. 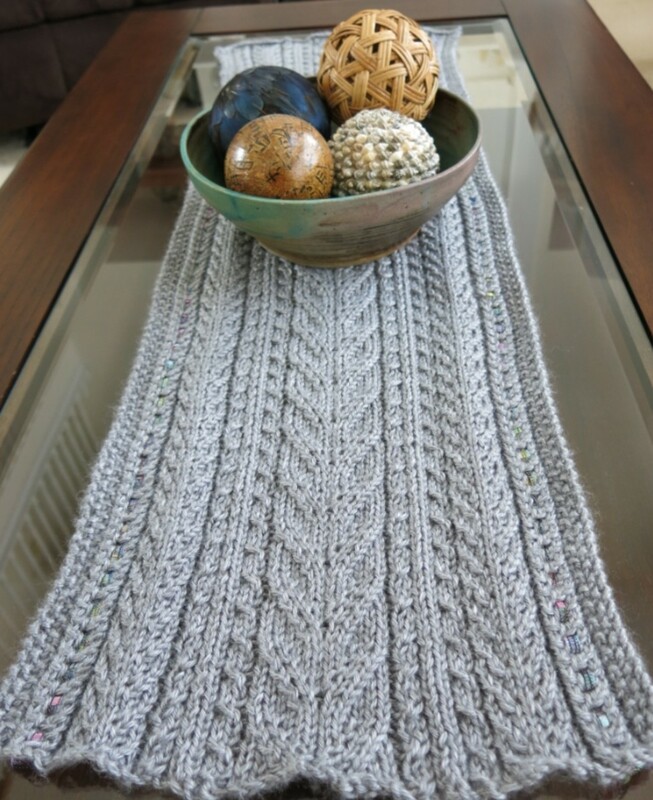 Knitting a cosy rug is a good project for either summer or winter. As a rug is quite large, it can take a while to complete, but the squares are not large and a couple can be completed quite easily while watching the news and a show on TV in an evening. There are several advantages in choosing to knit a rug as a project. Making a rug is something that can be picked up and done while relaxing around a fire and chatting together and then left for months while you are occupied with other projects and then come back to again. It is a good way of using up all those odd balls of wool left over from other projects. A small rug, using just a couple of colours arranged in a pattern, is a great gift for either a child or an older person. Larger rugs can be made to fit a single bed, a double bed or even a Queen-sized bed. 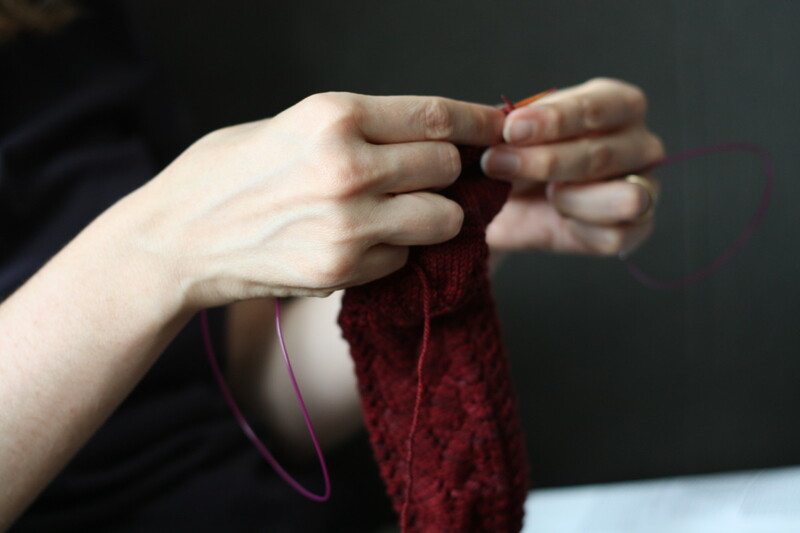 It's a good idea to decide whether to use pure wool or just what type of yarn you will use, especially if you plan to give it away when it is finished. Some of my children will not use anything but natural products for their children, so it's important to remember not to use man-made products on gifts for them, or all that work may be relegated to a charity shop. A hand-knitted rug can make a great gift for an adult grandchild, too; they know that the rug has been made for them with love. 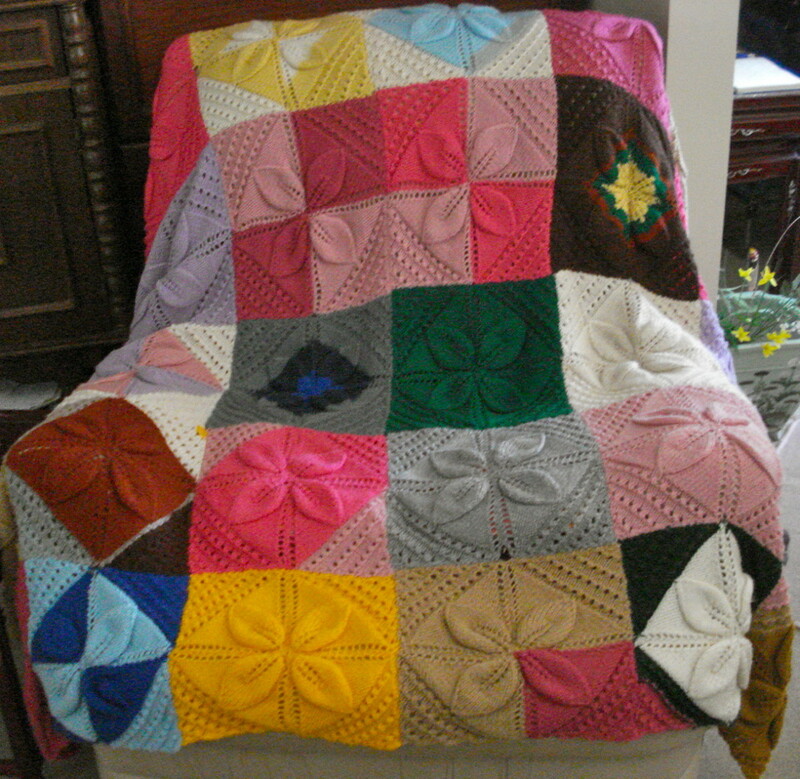 There are different ways of making the squares that will later be sewn or crocheted together to make the rug. Eight-ply wool is a good material to use and size 4.00 mm (or No. 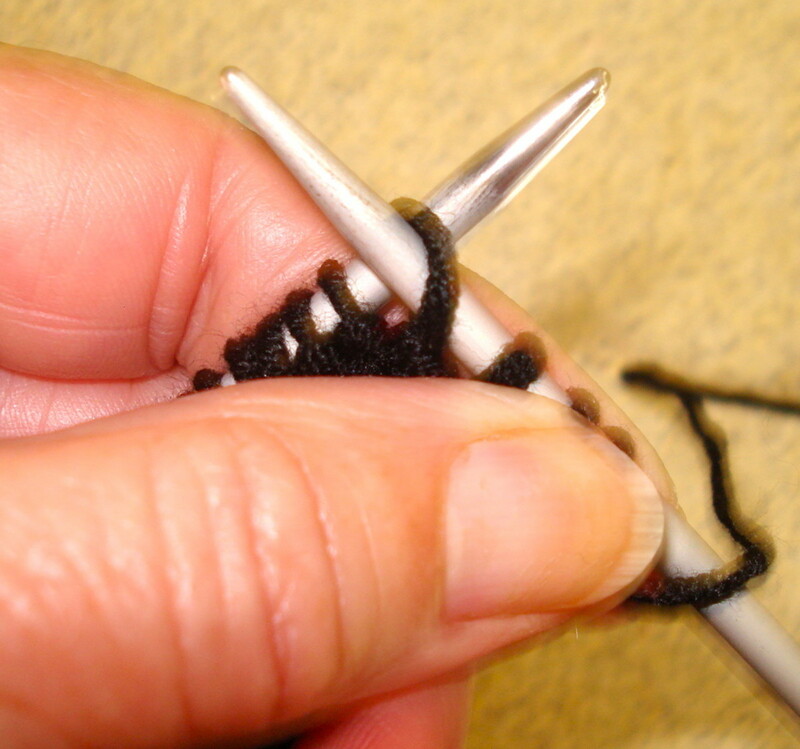 8) knitting-needles work well for this type of project. 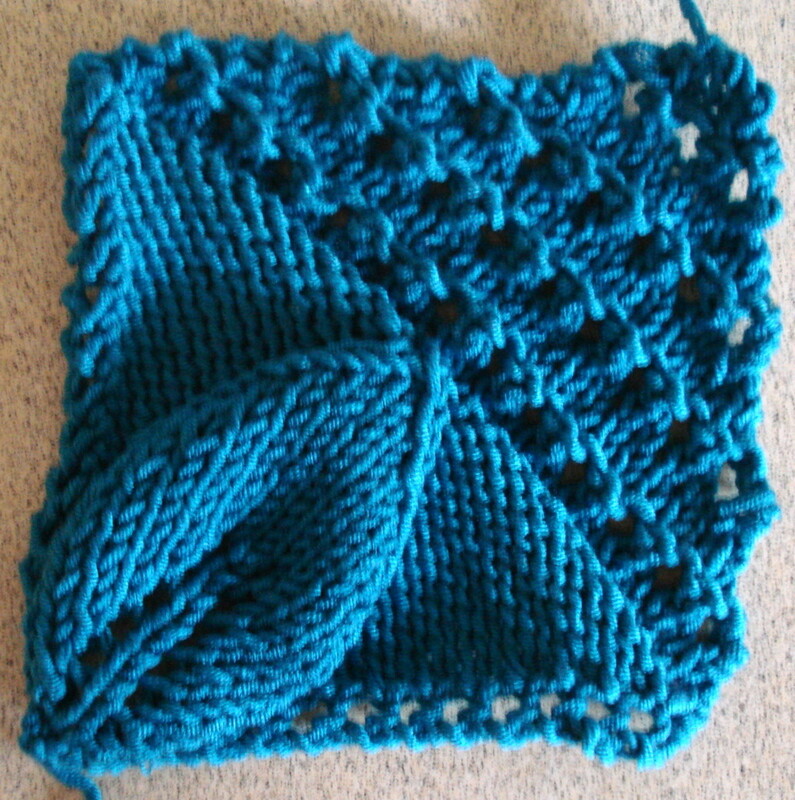 A Straight Square: A square can be knitted just straight by casting on, say, 30 stitches; knit plain (garter stitch) until it makes a square and then cast off. 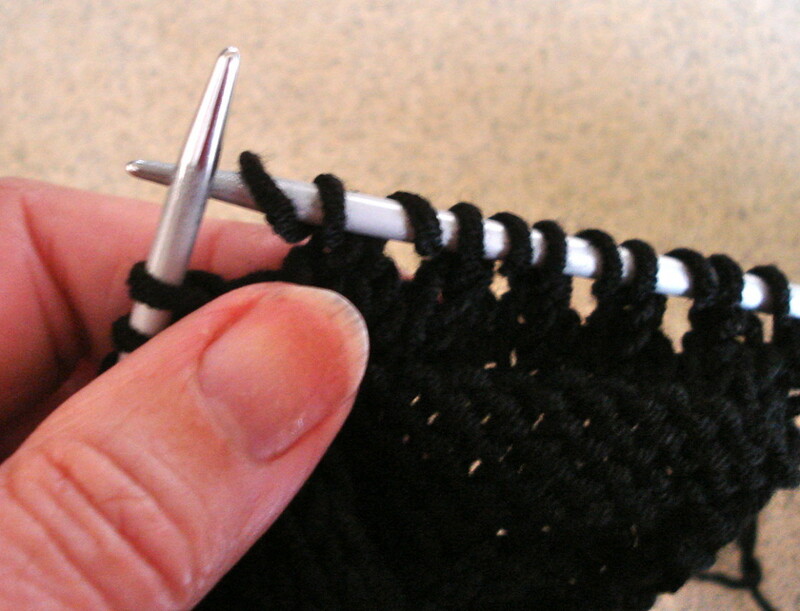 A Square Knitted on the Diagonal: A square can be made by beginning with 2 sts and knitting either plain (garter stitch) or 1 row plain, one row purl (stocking stitch) and increasing 1 stitch each end of every second row until the size of the square is what you require (again 30 stitches works well), then decreasing each end of every second row. This has the advantage that the square has better 'pull' in the finished rug. Squares that Have a Pattern: A rug that is made up of squares that have a pattern can be more attractive. 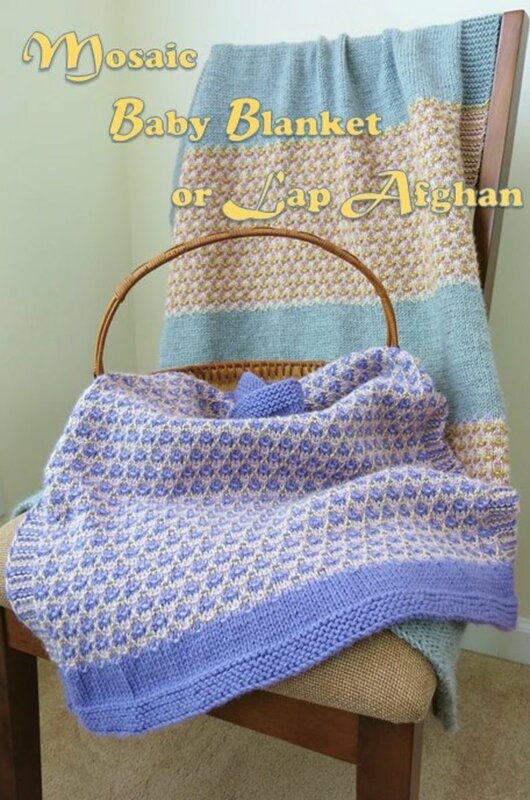 Instructions for the different stitches are shown above and also on my linked article, which is shown at the bottom of the article. This pattern is not original; I copied it several years ago and do not now know the source. 1st row: K1, yarn forward, K1. 2nd row: K1, P1, K1. 3rd row: (K1, yfwd) twice, K1. 4th row: K1, P3, K1. Continue increasing in this way for rows 5 and 6. 7th row: K1, yn round needle, P1K2,yfwd, K1, yfwd, K2, P1, yarn over needle, K1. 8th row: K1, P1, K1, P7, K1, p1, K1. 9th row: K1, yrn, P2, K3, yfwd, K1, yfwd, k3, p2, yon, K1. 10th row: K1, P1, K2, P9, K2, P1, K1. Increase like this for rows 11 - 15. 16th row: K1, P1, K5, P15, K5, P1, K1. 17th row: K1, yrn, P6, yn back, slip 1, pass slip st over, k 11, K2 tog, P.6, yon, K1. 27th row: K1, yrn, P11, ybk, sl1, K1, psso, K1, K 2 tog, P11, yon, K1. 28th row: K1, P1, K11, P3, K11, P1, K1. 30th row: K1, purl to last st, K1. 31st row: K2 tog. Knit to last 2 sts, K2 tog. 32nd row: As 30th row. 33rd row: K2 tog, yfwd, rep to lst 2 sts, K3 tog. 35th row: As 31st row. Repeat rows 30 to 35 three times, then rows 30 and 31 once. Last row: p3 tog. Fasten off. 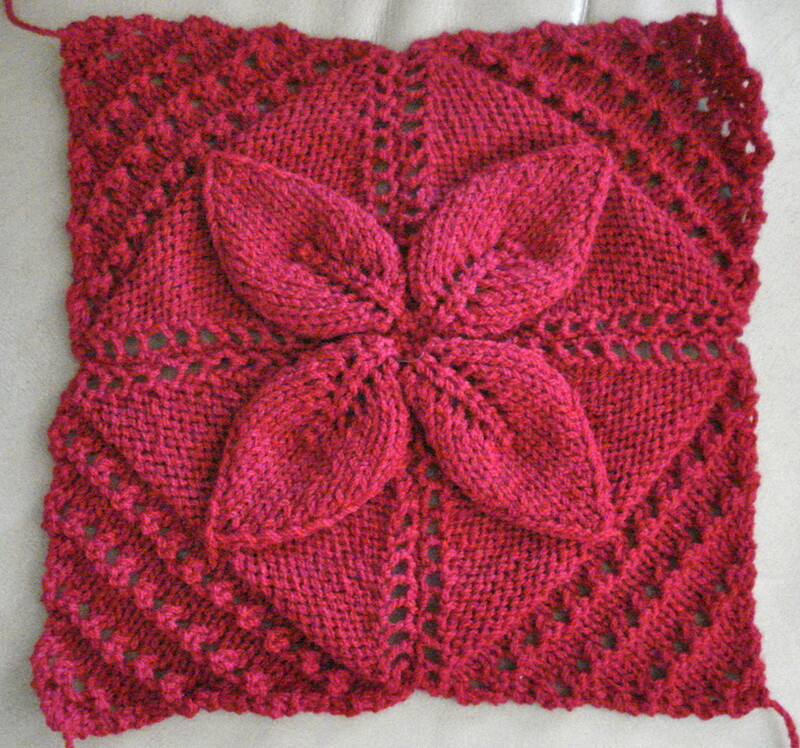 Make 4 squares, then sew or crochet them together with the leaves facing inwards to make a block. The leaves will then look like the petals of a flower. The number of blocks needed for a rug depends on the finished size required. A knee-rug or a child's rug: 3 X 3 (9) blocks is sufficient (that is, 36 small squares). A rug for a single bed will need about 4 X 6 (24) blocks. A rug for a double bed needs about 6 X 6 (36) blocks. Set all the blocks out in a large space and move them around until you find the colour combinations pleasing. Sew or crotchet the blocks together. It can then be complete, or you may wish to crochet an edging all around the rug. Finish with a light iron. 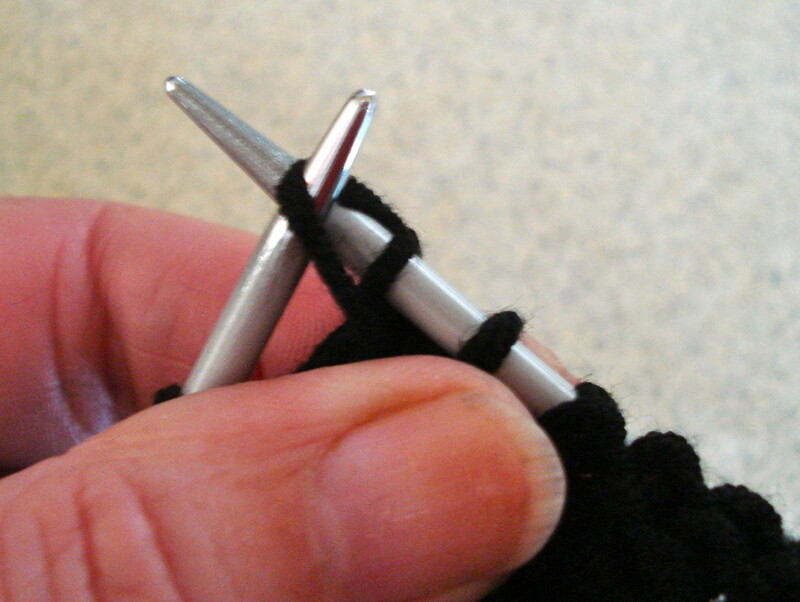 Knitting techniques are discussed with simple instructions right from making the first loop for casting on. Everything in this article centres on learning the two main stitches and then utilising these in different ways. My first attempt at designing a personalised knitted garment, in the hope that it will encourage others to try to design their own, too. On row 17, what is yarn back? You change the yarn back without knitting a stitch. Margaret: Well, I never thought I was much good at maths, especially when I had to teach the subject, but I do love to knit. So glad that I was able to help. I’ve been looking for this pattern... THANK YOU for it..
Leanne: I'm sorry you're having problems with the pattern. Once you've made a few squares you'll probably know it off by heart. Have you tried using a row counter? That might help. ivone.beltran@gmail.com: I would love to be able to translate this for you, but unfortunately, while I might manage in a few other languages, yours is not one of them. I hope you find someone who can help you. Good luck! Megan: Sorry that was not so clear. Hope this helps. Row 4 (as above): K1, P3, K1. Row 5: (k1, yarn forward) 4 times, k1. Row 6: k1, p7, k1. I'm making another rug at the moment - it's my excuse to myself for not wasting time while watching TV! I'm using some of those yarns that have lengths of different colours and it's fun seeing patches of colour emerge in different patterns. 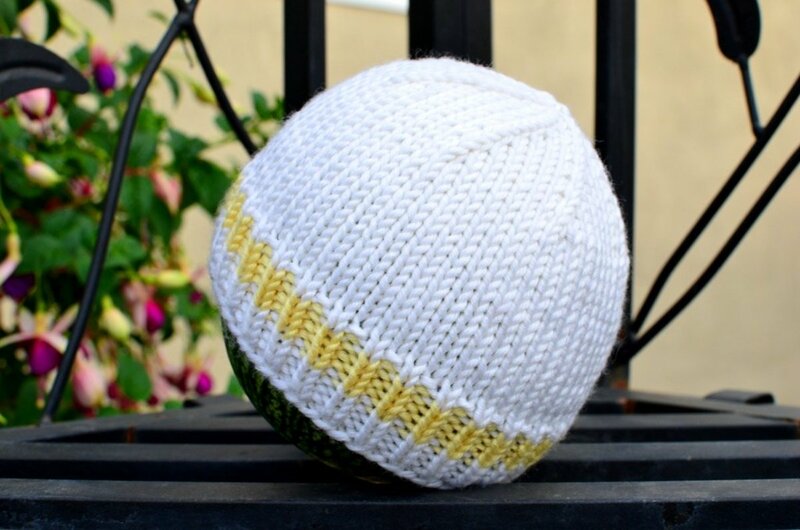 How do you do the increase for 4th to 6th row i do not understand as i am only a beginner and have never made anything knitted from a pattern. 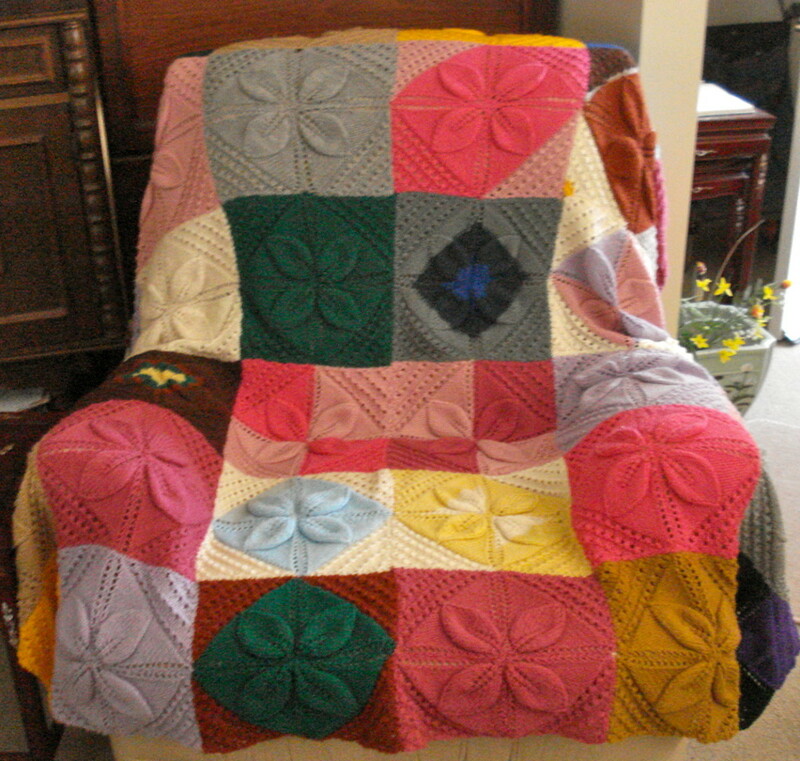 I really want to make one of these blankets for my daughter who is due in may as i remember how much i adored the one my grandma made me when i was a little girl. please answer thanks. Kim, I'm sorry for my late reply, I've been away on holiday. 11: K1, yrn, P3, K4, fwd, K1, fwd, K4, P3, yon, K1. 12: K1, P1, K3, P11, K3, P1, K1. 13: K1, yrn, P4, K5, yfwd, K1, yfwd, K5, P4, yon, K1. 14: K1, P1, K4, P13, K4, P1, K1. 15: K1, yrn, P5, K6, yfwd, K1, yfwd, K6, P5, yon, K1. Hi I'm trying this out but can't figure out how to increase between 11-15. (Obviously not as clever as Barbara Lynn. Could you help me out please. PegCole17: Thank you! It also means that it can be made one little square at a time, which doesn't seem such a daunting project, and over time they mount up. Also, yes, all those bits left over from other projects and they combine to make happy memories of past work. I hope you do try it and that it is fun for you! This project is absolutely stunning. I love the close up of the leaf pattern. 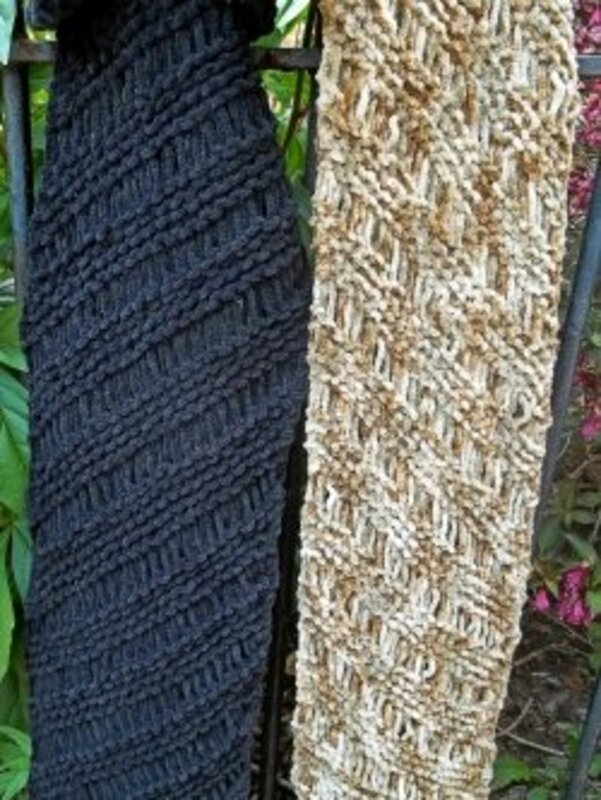 What a terrific way to use up all those bits of yarn that aren't enough for a solid piece. Your instructions were easy to follow as well. I look forward to trying out this one. Sharing this. Frannytwentysecon: Sorry I missed your second comment until now! I tried several times to click on the URL you sent, but each time my computer froze and I had to go back to square one! Serves me right for being so slow! Thank you anyway. Barbara Lynn: Yes, I guess it wasn't very clear. Row 19: K1, yrn, P7, yb, slip 1, K1, psso, K9, K2 tog, P7, yon, K1. Row 20: K1, P1, K7, P11, K7, P1, K1. Row 21: K1, yrn, P8, yb, slip 1,K1, psso, K7, K2 tog. P8, yon, K1. Row 22: K1, P1, K8, P9, K8, P1, K1. Row 23: K1, yrn, P9, yb, slip1, K1, psso, K5, K2 tog, P9, yon, K1. Row 24: K1, P1, K9, P7, K9, P1, K1. Row 25: K1, yrn, P10, yb, slip1, K1, psso, K3, K2 tog. P10, yon, K1. Row 26: K1, P1, K10, P5, K10, P1, K1. Yes, 29 stitches is correct. Hope it all works for you now. I figured out how to increase (rows 5, 6 and 11 - 16), but I'm at a loss for how to decrease (rows 19 - 26). Also, after row 18, I have 29 stitches. Please confirm that is correct. Hello again Bloss!! If you follow this link, click on "virtual tours" & then on the "master bedroom" you can see the Lanyon example of this rug. It is in cream, too & looks just lovely on an old 4-poster bed. If the link doesn't work, just Google "Lanyon Homestead". Frannytwentysecon: Thank you! I didn't know it was an antique pattern, but it certainly has been around for a while. It's an enjoyable one to knit, as it keeps the interest going. Lois: Cream! That sounds lovely. It may take a while, but I'm sure it will look beautiful. Thank you so much for posting this pattern.....I have been looking for just this bedspread, and am off to buy some cream wool to make a start.! Thank you so much for posting this!! I have been looking for a pattern for a hand-knitted rug similar to this for some time. There is an example at Lanyon Homestead, a historical museum outside of Canberra. The original pattern was from one of the Campbell ladies (the original owners in the 1800s) , and was made by the Museum volunteers. However, they don't have the pattern (!!!). Your pattern certainly comes closest to any I've found on the internet. It must be quite an antique pattern. I love it!! Thanks again. Umaima: The blocks are around 10" or 25 cm. They're fun to knit. CakeMixer: How lovely. 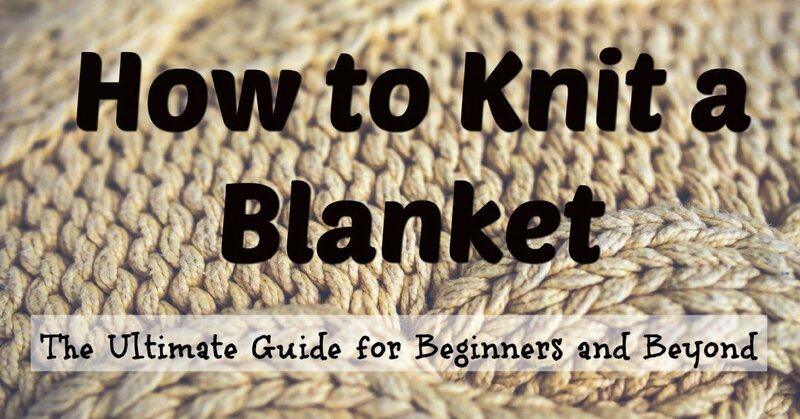 Your blanket makes a warm, happy memory of your Nanna. It's great that you've taken up knitting now. It's so satisfying to see a project grow. Thanks for the leaf pattern; my Nanna made me a blanket like that about 10 years ago now and I still have it and treasure it. I was never much of a knitter when she was still alive but I have finally started picking it up now. AudreyHowitt: Thank you for asking, I should remember to put in the links, but often forget, I'm so pleased you reminded me. I've just gone back and added the ones I mentioned. The links are below the last photo on this hub. Thank you, Audrey, for your lovely comment. I thought I also had a vest/ sleeveless pullover on here. I'll have to check. I haven't been doing any creative knitting lately, just more rugs. I'm crotcheting around the edge of my last one at the moment. I'll see what I can do about more projects, but it might take a while. 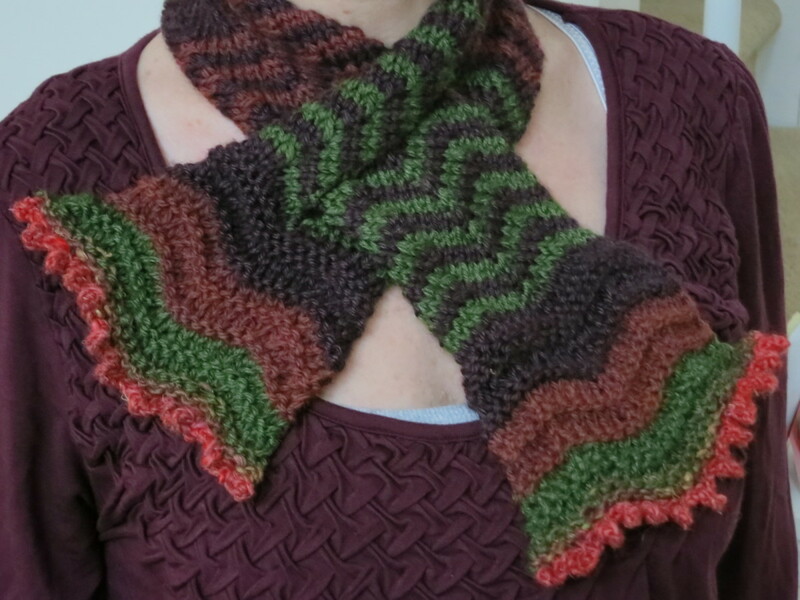 This is beautiful and I would love it if you had more knitting projects on here! Sushma Webber: Wow! You have been busy reading my hubs! Thank you. Yes, it's pretty and practical as well. Once I've done two or three of the small squares I remember the pattern and they seem to grow quite quickly while I'm watching TV. Happy knitting! What a beautiful rug, especially the pattern with the flower in it. I hope to one day make one like this. stars439: Thank you for your lovely comment. I've now started an another for a Granddaughter's 21st birthday. May God bless you, too. A very nice hub with beautiful photos. A beautiful design. God Bless You. Rolly A Chabot: That is so true. I still have a small rug a Great-aunt crocheted for me when I was a child. It's rather tatty now, but a prized possession. Glimmer Twin Fan: That's a great idea. I've tried writing but it's too difficult to concentrate and keep an eye on the TV at the same time. This way I tell myself I'm not wasting time! always exploring: I'm glad you're going to give it a try - hope it works and that you have fun doing it. This is absolutely beautiful and I am going to give it a try. I like to keep my hands busy when watching tv and not writing. Pinned! carter06: Oh, that would be lovely. I can imagine it in lovely pastel shades. I hope it works well. faythef: It's so useful in that way. I seemed to have the top of my wardrobe full of bags with odd balls of wool before I started to make rugs. Bake Like a Pro: I hope you have fun doing it. 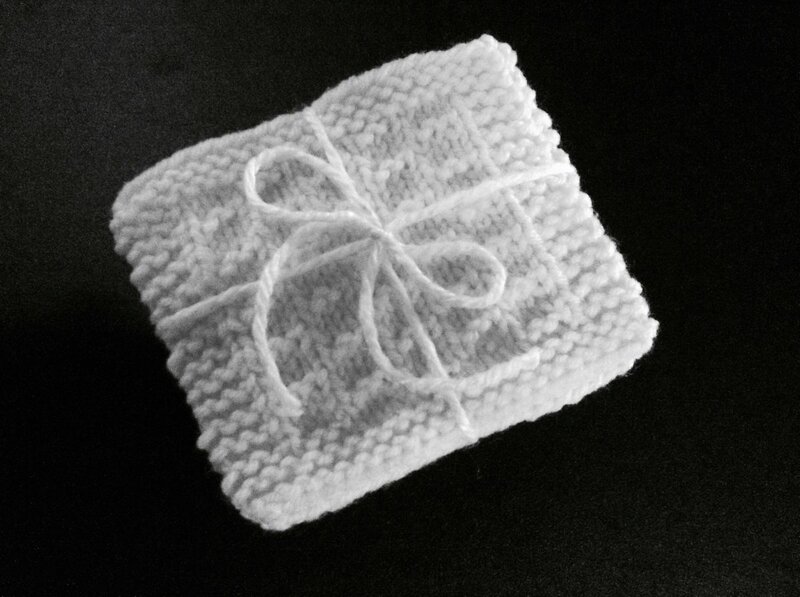 The beauty is that I can make it one square at a time, and that does not take so much time. In the end the squares just mount up. Jean Bakula: Ha! I'm the same. My grandmother gave up trying to teach me to crotchet. I can now, but had to teach myself but sort of doing the instructions backwards! I much prefer to knit. Enjoy! AudreyHowitt: Thank you. It can be any combination of colours that I want, too. europewalker: It does look like a lot of work in the end, but it's something to pick up and do in between other projects and just by saving the small squares they eventually mount up into something. Lipnancy: I admire them, too. Some of my grandchildren can crotchet beautifully, but I still prefer knitting. I find it more relaxing. I have always admired people who can crochet and create beautiful articles. It looks like a lot of work went into this very beautiful and colorful rug. Thanks for sharing. This is so lovely Blossom! Thank you so much! This is simply lovely. I can knit, but being left handed always had trouble learning to crochet. You have inspired me! That is a masterpiece Blossom. It's gorgeous, I LOVE it. I know how to knit but never tried any patterns before. Thank you for this wonderful article. Voted up and sharing. Very pretty..A great way to use up some of my leftovers..